There are many songs about sailing, cruising, ships or the sea; and what a way to get you ready for your upcoming cruise. Heck, you can play these songs during your cruise and maybe even request them while on board. The list below includes some of my favorites. What are yours? That dance looks cool. I like David Gray and Andrea Bocelli. Enya video is blocked, can’t watch it. 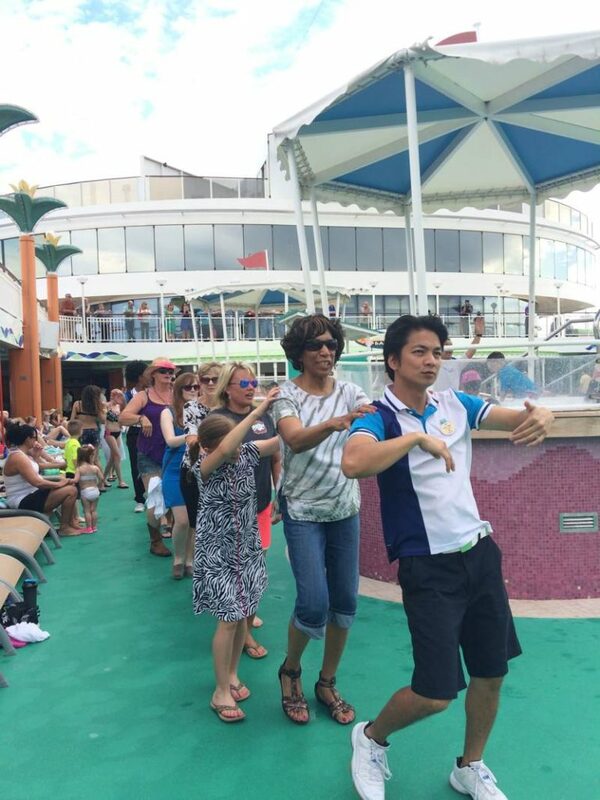 Those Conga Lines are always a fun way to start the cruise during sailaway. Thanks for the alert about the original video. I have been wanting to get more into posting playlist’s because I think it would be a great idea!! I can’t wait to go on a cruise again, these songs will definitely get me in that island life mood! Thanks for sharing! I have to agree that posting playlists is a good idea. Where are you going on your next cruise? Have not really heard a lot of these. Will definitely be putting them on now. Mine is just some soothing music that compliments the call of gulls. Soothing music is a good option as well. What is on your list? I love the Styx and sail away, great playlist for any kind of trip, sailing, cruising, flying or road tripping.